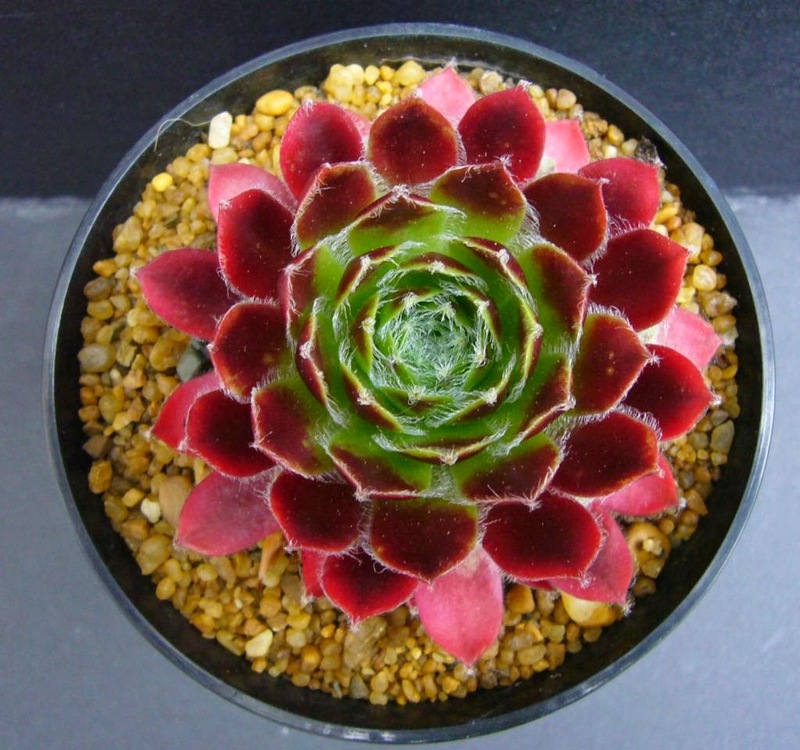 One of the groups of plants I have most been looking forward to getting back in the ground are the sempervivums. 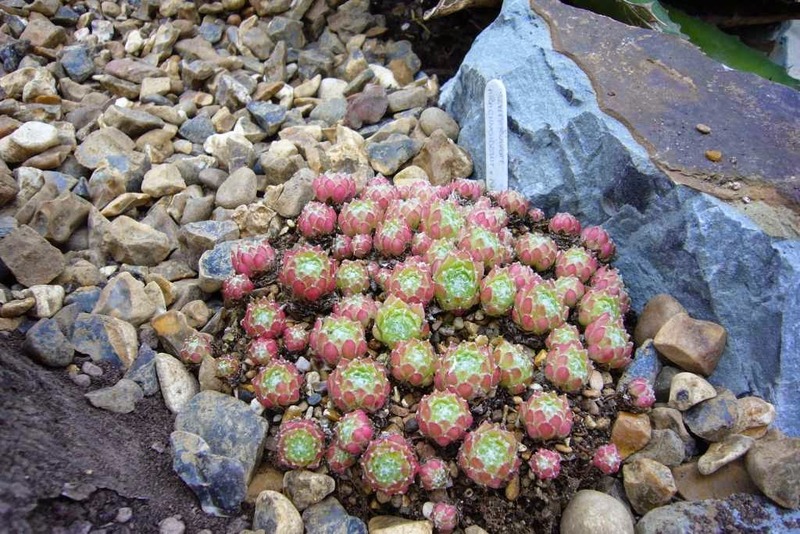 With the alpine section of the first rockery planted (you can find the post here), some of my favourites were given their new homes. Most have settled in better than I could have hoped, even though this is a low time of year for growth as it is a little hot. The s. virgil has coloured up perfectly and is gunning to be top semp in the bed. I'm expecting it to fill in those gaps quickly as it was one of the best all-round performers at the last house. The only problem with it, are it can over pup creating an unruly clump. Not a bad problem to have I'm sure you'll agree. 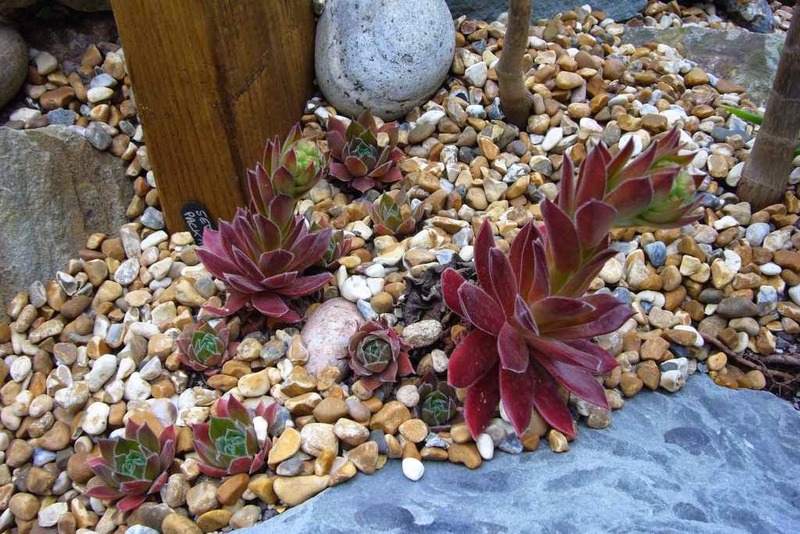 I have also started planting some semps into gaps in the main succulent bed. This little one is s. arachnoideum x nevadense. It has never quite looked as good as when I first bought it. The clump is good, but they are not growing to their full potential as shown below. I'm not sure if it needs more heat or what. Hopefully the new location will suit it better and it can flourish and give me rosettes like that again. Some are showing their contentment by flowering. S. packardian is a strange one. I understood it was one of the larger forms and yet I have never got them to grow beyond about 7cm. They have a good colour, just disappoint in their size. Again I am hoping the new location will give better results. 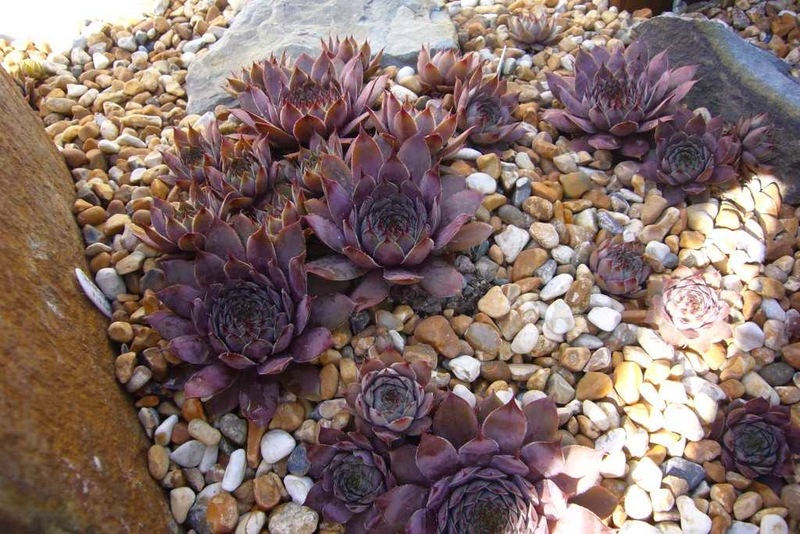 With a bit of luck all the semps will bulk up nicely and will be a major feature in the garden come spring. 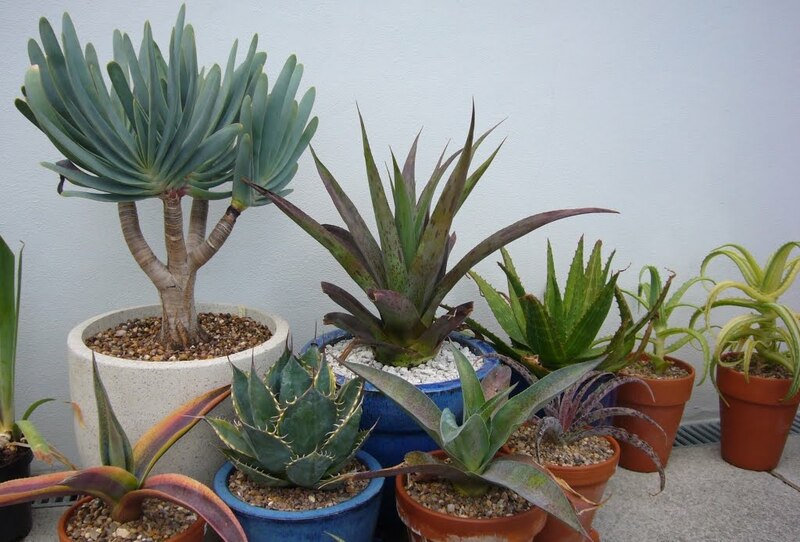 I have quite a few more ideas for using them around the garden, so unlike many of my succulents, I can continue to search out good varieties to increase my collection. Even though it is not their growth season, they look wonderful. They must love your climate. Surely out of pots and into a planting bed they will really thrive. Thank you. They don't like hot summers, so are more suited to UK than your baking summers.